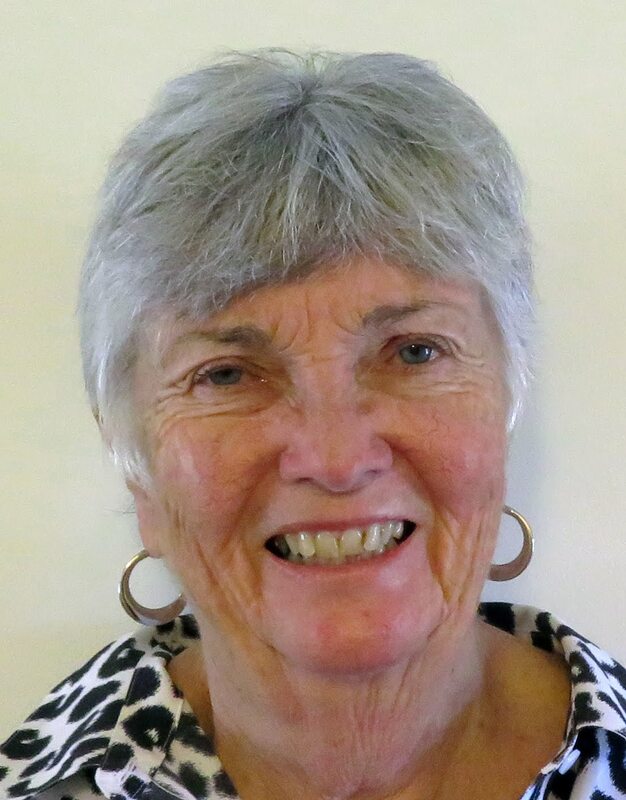 At Cape May – Finally! Nicole pushed rain ahead it so we had that all day long with the maximum gust registering 33 kts. The wind averaged 20 kts throughout the day. Adjusting fenders for a fixed dock with pilings was a new experience. I finally wound up tying the fenders to the piling itself to ensure that it was always cushioned against the boat. Also, lots of lines! If it rains continuously all day long, how do you take Hoolie out? Well, you dress in full raingear and let the dog get soaking wet. On top of that, he seemed in no hurry to do his business. Being at a dock has its advantages like running the ceramic heater while running the A/C at the same time. With the combination, the cabin humidity was under control while the wet raingear and Hoolie’s towel dried. Meanwhile, the tide keeps risingg and tonight they may have to turn off the electricity if it rises another 4 inches since it would then cover the electrical outlets on the dock. Presently, we’re waiting for part II of the storm, Nicole itself is due at 8:30 for another round of rain, oh joy. It should all be over in eight hours, in other words, all night long. I’ll do dock duty tonight to ensure the fenders are in place when the winds shift around from southeast to northwest with the passage of Nicole. According to the projections, Nicole is due to pass directly over us around 9:00 or so. However, Friday is supposed to be a sunny, nice day although very breezy with a small craft advisory still in place until Friday night. We’ll stay through that and plan on a Saturday departure. 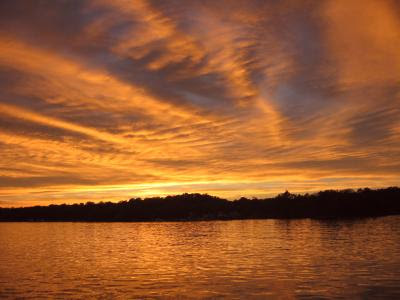 We woke to a beautiful sunrise with blue skies and the promise of a great day. The winds had finally died down to less than 10 kts and that was out of the north, a good direction for us going south. Once again the anchor was set to the extent that I think a 1:1 scope would have been enough to hold us! The mud was thick and it took awhile to wash away the clay-like grime, luckily I have a washdown pump for just that purpose. Heading out into the bay, it was a different sight that presented itself, gentle one ft rollers that were behind us as we motored south. 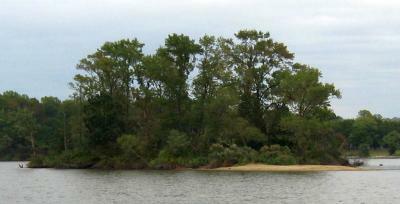 We had 42 miles to cover to reach Solomons Island, a popular resort area on the west coast of Chesapeake Bay. Soon the sunshine gave way to clouds and rain from the approaching tropical disturbance from south of Cuba that was coming up the coast. There was no wind yet but there was plenty of rain. We are predicted to get up to 40 kt gusts on Thursday out of the south with even more rain. 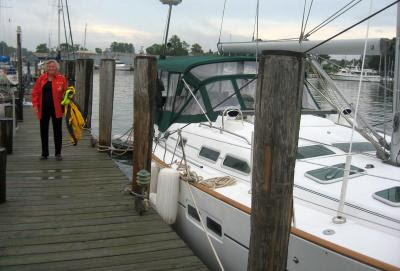 With that we’ll remain at a dock in Solomons Island for the duration. Hopefully we can leave on Friday but we’ll see then. The docks were fixed, not floating which makes for a new experience for us. I finally wound up putting the fenders on the pier posts so if the boat move some, the boat is still cushioned against the floats on the post. We'll see how this startegy works out in 40 kt gusts on Thursday. The AIS came in very handy in the reduced visibility conditions of the heavy rain. I could see approaching ships 6 miles away and plan my passing strategy in the narrow, busy traffic lanes of the Chesapeake. The AIS display will show the heading of the ship and where it will be in 10 minutes according to its current speed. I can then compare that plot to the plot of my position and corresponding position in 10 minutes and see if we’ll intersect, all displayed on my chartplotter at the helm. On two occasions we were on a collision path and, of course, I altered my heading two miles in advance to pass safely. Great thing, AIS. The marine forecast for the Chesapeake Bay was for a small craft advisory until 11:00 with winds 15 to 20 and gusts to 30 out of the south, the direction (of course!) that we were headed. However, it wasn’t so bad in the anchorage with winds around 10 kts. 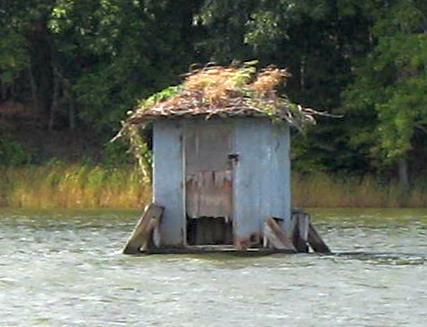 On the way south from Chesapeake City, NOAA has also forecast a small craft advisory weather which never materialized. We thought that perhaps NOAA was being overly cautious. With that we set out around 11:00 but the closer we got to the bay, the more the wind piped up. As we rounded the corner into the bay, the waves started hitting us and we were on a roller coaster ride, taking water over the bow every third wave or so. Turning on NOAA, we heard that the small craft advisory had been extended until 5:00 with gusts predicted now to be 35kt! 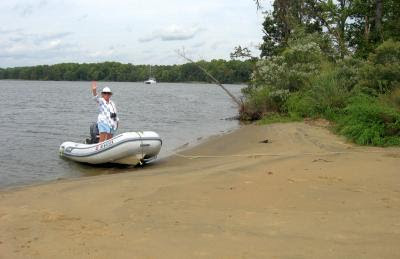 Since our motto was to have fun, we just turned back into the Rhode River rather than take five hours of that. You can see our U-turn on the Fleetwing 24 hour location plot at the link at left. Coming back into the anchorage you would never guess at the weather in the bay, nice and calm with gentle breezes. We took the afternoon exploring the anchorage which is huge, over 100 boats could easily fit here. There were several duck blinds and they were apparently such a fixture that they were even on the charts – labeled “duck blind” The run into the island for Hoolie relief was in stark contrast to the morning when Hoolie had about a foot of sand to do his business on due to a wind driven tide out of the south. Now the wind has died completely and the mosquitoes are out and the boat is perfectly still. We did have a nice sunset. If the weather forecast holds, then were out of here Wednesday! ﻿ The weather has turned sour. The forecast for the bay was for 25 kt winds with 35 kt gusts along with rain and an occasional thunderstorm thrown in for good measure. In addition to everything else, the wind would have been against the tide. With all that we decided to sit out today in our secure anchorage and do boat chores. I had three lines that needed an eye and so we got out the book and studied how to do the splicing. I think Ann got the hang of it faster than I did, probably from all the hair braiding she’s done over the years but then again maybe she’s just better at it than me. We planned future stops and studies the likely anchorages hoping for better weather on Tuesday but then again the forecast is not so wonderful, time will tell. The beach on Hoolie’s island disappeared today with the wind driven high tide out of the south. He had about 1 square foot to do his business in (which he did), poor boy. Well, we’ll move when the weather lets us, we’re not going to fight it. We could have gone to our next anchorage if we pushed, the boat is certainly capable but then why do it if it’s not 100% enjoyable to us? We had somewhat of a problem with Hoolie last night. He jumped up on our bed at 4:00 am which is something he never does, we shooed him off but he came back and second and third time. Then we heard the sound of peeing. He had been trying to tell us that he had to go but we hadn’t recognized the signals. We had stayed up late last night and there was a lot of activity at the marina so he was wide awake when we went to bed. Evidently it \was too much for his system. I took him out after the fact at 4:30 am and he slept the rest of the night as far away from us as he could get on our boat, the aft cabin – he knew he had done wrong. Oh well, these things happen so tonight we took him out twice, once at 4:30 and again at 7:30, we’ll see what happens. ﻿ Today was a windy and rainy day. We got a late start due to having to wash the bed sheets and divan cover which got us closer to low tide over the bar at the entrance to the marina but we made it okay, we saw 5.8 ft at the marina entrance which is okay for us with a 5ft keel. We celebrated our trip today by opening the wine that Paul Cohen gave us last night, very good! We are anchored tonight at the Rhodes River anchorage. 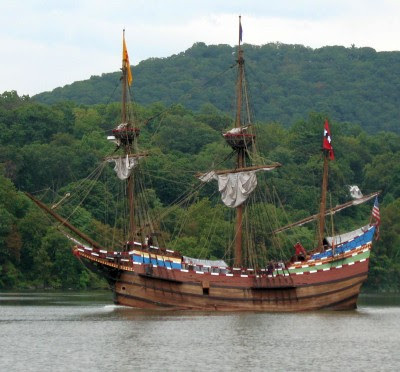 It’s big enough for an armada, it’s bigger even than Oyster Bay on the Long Island Sound. It’s protected on all sides and with 60 ft of chain out in only 8.5 ft of water, we are very secure. 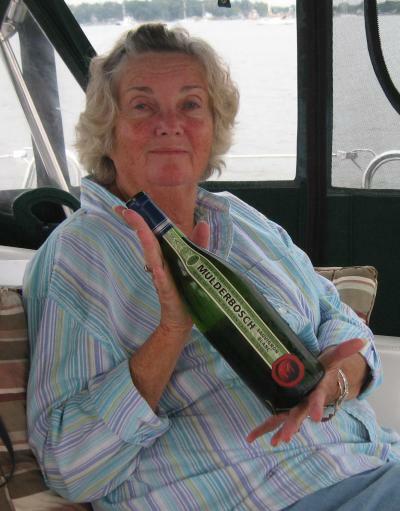 It has a small island that perfect for Hoolie relief, always a factor in the selection of our anchorages. We are aiming for Hampton on Friday if the weather is okay, we’ll see. We just happened to hit Fall Festival Day at Rock Hall and with it the marina was packed full of boats. There was a free trolley ride into town which we took since I needed some supplies from WestMarine and we needed to reprovision at the local supermarket. Fall Festival Day resembled a day at the county fair. There were booths for handicrafts, live music and, of course, lots of stuff to eat! I found a one-way valve for the A/C drain and we took advantage of the supermarket. However, on the way back to the pickup point for the trolley, we had to pass by the food booths and we both succumbed! The aromas just overwhelmed the both of us. Ann had an excellent crab cake sandwich and I had a beef barbeque sandwich – great! Everything was topped off with a funnel cake with powdered sugar on top, much too many calories but who’s counting? Paul Cohen dropped by to say hello, the first one from my Beneteau 423 forum. He’s been following my blog and we had a great chat about all things boat. 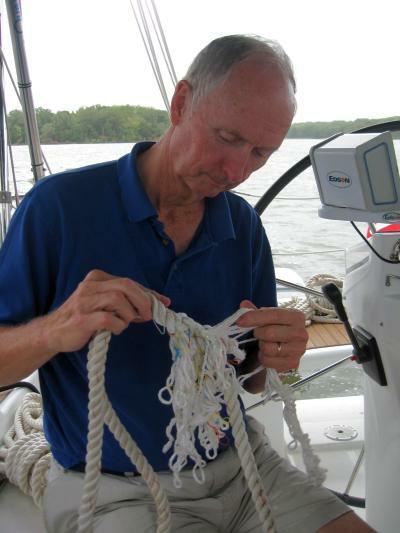 He went away with a great list of to-do’s, always a good thing when it comes to boat projects. We appreciated his recommendations for anchorages nearby. It’s always good to hear from forum members. We had intended to anchor out at Sassafras River but the weather was calm and we had a 1.5 kt tide behind us so we decided to so further to Rock Hall. 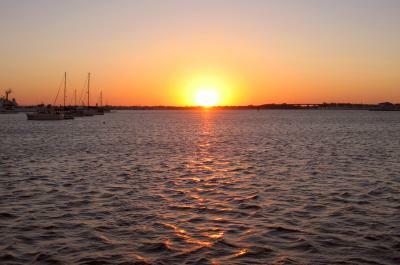 The weather forecast was for a small craft advisory with 15 to 20 kt winds against the current flow. Instead we only had 5 to 10 kt winds and calm seas. Once again motoring was the order of the day and we had heard about a free dock at Rock Hall so we headed there. Well, the free dock turned out to be only a bulkhead with vertical pilings, not boat friendly so we decided to take a dock instead. The harbor is a series of narrow lanes even though the harbor appears to have lots of water, most of it is only 1 ft deep! So turning the boat around to get into the marina was practice for tight maneuvering. We made it okay and we’re snug for the night. 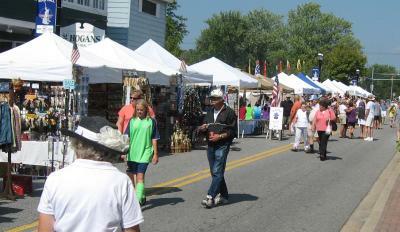 On Saturday there’s a Fall Festival at Rock Hall so we’ll go into town and see what’s up. I also need some boat supplies and there’s a Westmarine in town so I’ll visit the store tomorrow. We’ll see what the weather will be before moving on. Low tide was at 2:00 am and you’re supposed to leave Cape May no later than two hours after low tide to catch the incoming current all the way up Delaware Bay. However, we were not about to leave at 4:00 am in the dark so we slept in until 5:00 am, took Hoolie ashore and hauled anchor at 6:00 am. I had to fool with the anchor since it came up cocked on the chain so we finally got underway at 6:15 at first light. As I mentioned before, we couldn’t take the canal so we had to go out through the inlet again and head south. There are two routes, one far from shore which is the main channel, safe but longer. The second route is very close to shore and much shorter. The second route goes right by the lighthouse and we joked that we could read the lighthouse schedule on the front door as we passed by. You have to fight the tendency to veer away from shore but that’s the shallow water. The deeper water is almost up on the beach! At any rate, the charts are dead accurate, we followed them on the chartplotter and had no problems. Since we got started so late (relative to low tide) we thought we might lose the flood tide somewhere along the way but we held it all the way into Chesapeake City, a total of eight hours, arriving there by 2:15 pm. 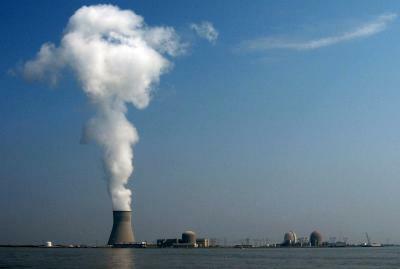 The nuclear plant was on the east bank and one wonders why they had to build air coolers when they had all the water of the bay to cool with – unless there was some EPA ruling about warming the bay waters. Chesapeake City was dredged at the end of July this year so there was plenty of water in the anchorage with 10 ft everywhere. We must still be ahead of the crowd heading south since there weren’t that many boats here, about six at anchor. Now we are finally in the Chesapeake and can look forward to moving everyday and not having to wait for weather, we hope. We decided to lay over another day at Cape May. There was a small craft advisory in effect until 1:00 pm today with 20 kt winds and gusts to 30 kts. There’s a front coming through and Thursday is supposed to be a good day for traveling up the Delaware Bay. We’ll leave at daybreak but we’ll have to go outside, we can’t use the canal due to our mast and the high tide in the morning (low tide is at 2:00 am). The photo shows the height gauge at the first bridge with the water at 0.7 ft over low tide. 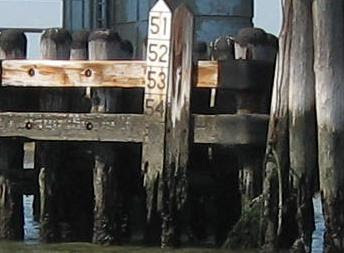 Putting a ruler next to the gauge shows a clearance of 59.2 ft at low tide (when the tide charts show 0 ft for the tide). Today there was a 5 ft tide so we would not have cleared at high tide with our 55.3 ft mast. However, one can do the math at other times with the aid of a tide chart. 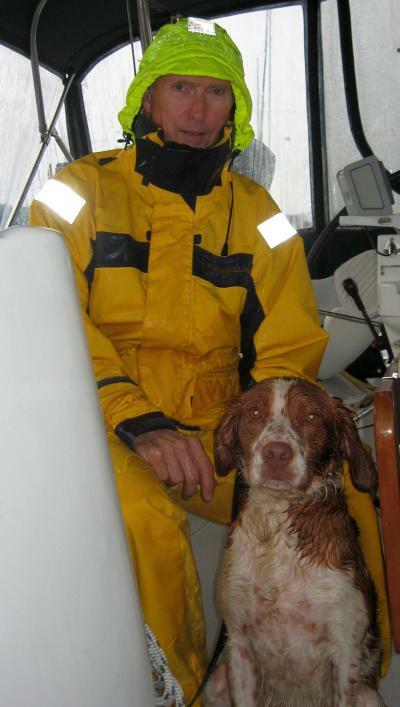 The outside route plan will require going out the inlet, always an exciting experience with incoming waves, which we do not want to do in the dark and taking the route next to shore as Marty suggested to save time. Meanwhile, we explored the anchorage and found The Lobster House, a huge restaurant near the fishing fleet. We were amazed at the number of people there on a Wednesday afternoon at 1:30! It was packed. It’s actually three restaurants grouped together. The one we ate on used to be a schooner, very nice. The Coast Guard owns most of the peninsula we were anchored by and we could hear what sounded like boot camp with marching and calling out of orders. We used the sand beach to the north of the main Coast Guard station for Hoolie relief, probably off limits but nobody bothered us. It’s early to bed tonight for an early hour Thursday. As is our custom, we accessed all the weather reports over the internet early in the morning and discovered that the winds and waves would be less than predicted yesterday so we decided to head out around 11:00 for Cape May. Naturally the wind was on the nose so we motored all the way. We’re anchored out by the first green buoy after making the turn to port into the harbor. There’s a small sand beach that’s perfect for Hoolie relief and there’s boats going by to keep a dog’s interest. The temperatures are still in the 70’s so we sat out in the cockpit for our wine and dinner to watch the sun set. We’re not sure what we’ll do Wednesday, it all depends on the weather. We have a long haul ahead of us up the Delaware Bay to reach Chesapeake City, some 68 miles, so we want good weather for the ride. So far it looks like we’ll sit out another day here due to high winds and adverse current up the bay. Well have to go outside since we can’t get under the 55 ft bridges early in the morning when it’s high tide. We will most likely do some exploring tomorrow and see what Cape May is like. Not too exciting here. The waves peaked today at 10 feet and are supposed to start subsiding tomorrow and be manageable by Wednesday. 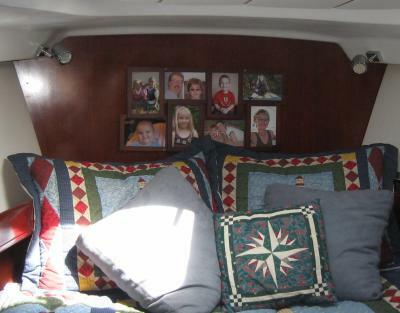 Meanwhile, we did boat chores including mounting a picture frame of all our grandkids in the forward cabin. You wouldn’t think something like that would take three hours but it did (frame reinforcement to survive boat duty, drilled into bulkhead, …) By 3:00, all boat chores for the day were done and we headed for Trump at 6:00 for another $5 round of slots but this time we lost it all! With that we had the cheap, upstairs dinner for $20 for both of us. After dinner I tried my hand at $1 Blackjack with $10 worth of chips and lost that too, hummm, seems to be a pattern here. We saw a 30 ft sailboat head out this morning and thought we were really being wimps (which we probably are anyway) but then they returned to the marina a few hours later. It turned out that they weren’t headed out the inlet at all but instead were going to take the inside out to Cape May but discovered that there’s a 20 ft high bridge in the way that they didn’t know about! There are several boats here waiting for weather and most will probably leave Tuesday – but we want ideal conditions which are due Wednesday. Besides, we’re retired, we don’t have to rush. About 1:00 am the swells started coming into our anchorage. Up until then, it was pretty calm, even with 5 ft swells the previous day but it reached a tipping point at 10 ft swells. They weren’t bad, they just rocked the boat from side to side, more annoying than anything else since they were less than a foot high by the time they reached us deep in the anchorage. The setup I have for anchor watch is a small GPS with a plotter output (Garmin GPSMAP 76). When we anchor, I put a waypoint at the location of where we dropped the anchor and keep the GPS in the forward cabin at the bow (which is much more accurate than at the nav station). I then enter a route to the one waypoint and the GPS displays the distance to the waypoint (the anchor) and plots the boat’s position on the display. I can see where the boat is relative to the anchor at any time during the night and whether the anchor has moved. This technique has replaced having to get up periodically and plot angles to lights on shore to see if we’ve moved. I can also see which way the wind is blowing since north is always up on the GPS display and the anchor sits in the direction of the wind, except when there’s a lot of current of course. The anchorage at Atlantic City has a lot of current and we went in circles around the anchor, we covered every square inch in all directions to the end of the anchor line! Even in Maine we hadn’t done that before. 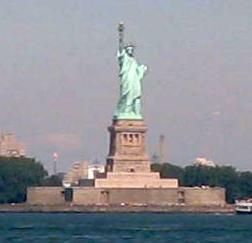 However, the holding is good and we didn’t move at all over the two days we were anchored there. Once back at Trump Marina, we took a walk along the dock to view the racing boats due to go out that afternoon in the 10 foot swells. Well, the 12:00 start got moved back to 1:00 and then the smaller boat class was cancelled. The concern was not so much handling the 10 foot swells but rather the reduced visibility when down in a trough and not being able to see what’s ahead of you (another boat?!) when traveling at high speed. The boats are capable of over 100 mph but I can’t imagine them going that fast in such conditions. The boats were all very colorful and would make great posters. We viewed the waves at the beach and took pictures but the photos just don’t do the waves justice, they don’t look as impressive in a picture – but in person they were phenomenal! Note that in the photo of the waves, you can see a sailboat in the distance, some people still go out in such weather but we’re in no hurry. It’s going to take a few days to for things to calm down. Our plan is still to leave Wednesday for Cape May. The swells from Igor are still building and aren’t due to peak until Monday but are predicted to subside by Wednesday when we plan on leaving for Cape May. 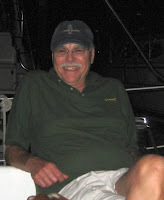 All during the day the ocean racers tested their boats by opening up in the flat waters of the bay we were anchored in. A little rocky but it was quite a sight with the roar of the engines and the roster tails speeding along. Sunday is the day of the great ocean race in the middle of 11 foot swells, ought to be interesting. We explored in the ding today and found that Atlantic City is full of small inlets, all lined with houses and also host to an extensive fishing fleet which I wasn’t aware of. 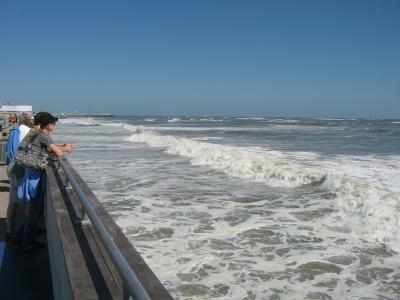 The weather, with the exception of the swell, continues to be spectacular with temps in the 70’s everyday and no rain. I’d rather be continuing down south but Igor disagrees so we’ll sit until he says it’s okay. 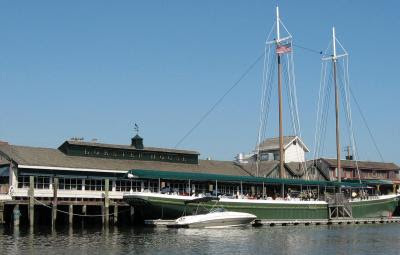 Sunday we’ll return to the marina and take a jitney to the boardwalk to see the race and the 11 foot swells. 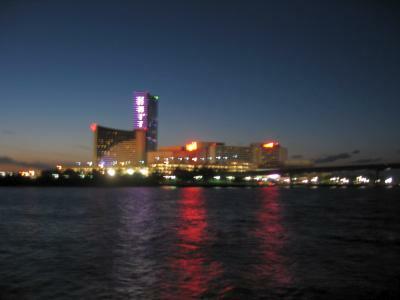 Meanwhile, we enjoy a unique view of Atlantic City at night from our anchorage. 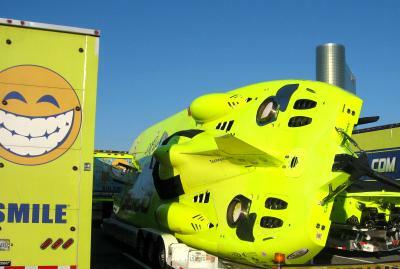 We went for a walk in the\ morning and saw the powerboat racers all lined up in the parking lot so we went for a visit. They are part of a racing circuit that tours the country. 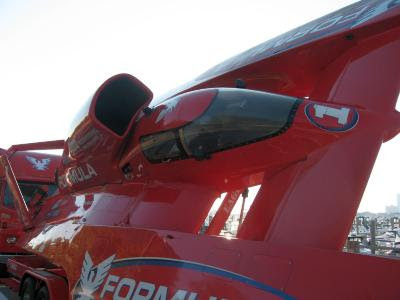 The boats were something else, power personified! No wimps in this group. We talked to some of the contestants to see if they were really going to race in 10 ft swells, “Sure they said”. We’ll see on Sunday. There was even one group from Qatar! The biggest boats belonged to a group sponsored by Geico, the car insurance company. We moved out of the marina today and anchored south of the bridge. We were concerned about the swells finding their way into the anchorage but so far all is calm. 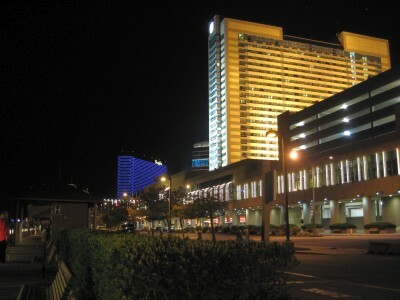 We have a beautiful view of Atlantic City at night. The weather outlook does not look good for the next few days with the scheduled arrival of the swells from Igor. If the actual weather follows the prediction, we won’t be leaving Atlantic City until Wednesday, quite a delay on our trip south – but weather is king. 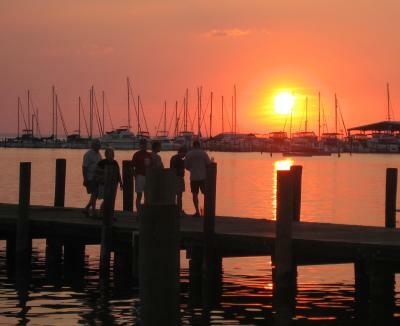 We’ll probably return to the marina on Sunday when we can use our $2/ft coupon for the remainder of our stay. Besides, the ocean race is on Sunday and we’d like to see how they cope with the 10 ft swells. It is still warm down here with temperatures in the 70’s (it’s 70 right now at night), very comfortable. We have a nearby beach for Hoolie relief, what more is needed? A front not associated with Igor is coming through today and tonight. The 30 kt winds already has the ocean stirred up as you can see in the photo. It’s a very good thing that we decided to stay in Atlantic City rather than trying to make a run for Cape May. Powering into 30 kt gusts and 3 to 5 foot waves is one thing but braving the inlet at Cape May which happens to face the direction of the wind and waves is quite another. We’ll sit it out. 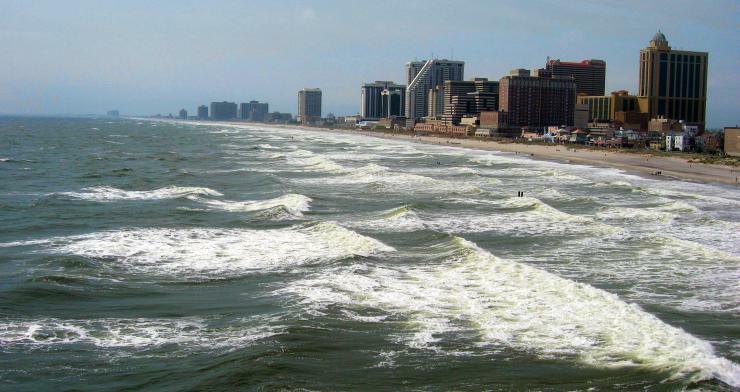 On the link Atlantic City Wave Prediction, you can see that the swells from Igor are predicted to peak around Sunday and, as luck would have it, that’s the day of the off-shore powerboat race hosted by Trump Marina. We talked to the organizer of the race which was two slips down from us and he said they race regardless of the conditions with the one exception of fog. We were planning to anchor out the next two days and come back in Sunday when we can get our discounted price of $2.25/ft (which is not honored Friday or Saturday). We even got a voucher for a return visit of $2/ft which we’ll use Sunday and pay the $2.25/ft rate for the rest of the time. So we will have a front row seat at the boardwalk for the race, should be interesting with the swells. I signed in for a Trump card and they still had the records from my last visit in 1997, I guess some data never dies, makes you wonder. At that time their buffet was excellent at $8.95 but the price has come up in the meantime to $16.95 and they no longer offer slices off a steamship roast. 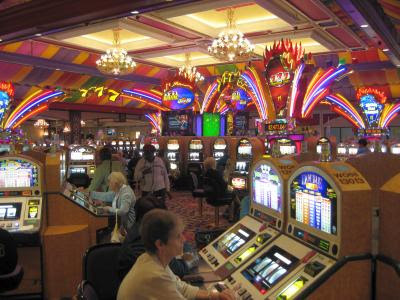 Nevertheless, it seemed a good deal but first I wanted to try my hand at the slots, risking all of $5, my limit. Ann and I took turns pulling the handle and something came up right (I have no idea what) and we won $33.50! With that we promptly stopped and cashed in our winnings, paying for all but $3 of our dinner tonight, not bad. Hopefully the wind dies down some Friday so I can get out of my slip. The fairways are narrow and the wind is coming at me from the side, tough to get out. Meanwhile, we keep watching Igor and the swell report, you can’t fight Mother Nature! I got up at 4:00 am, Orion was up shining brightly in the morning sky and we had morning winds of 20 kts! We all piled in the dink and headed for the marina for Hoolie relief. Still in the dark, we headed Fleetwing out directly into the wind and waves, kinda of scary at night if you’re not used to it (we weren’t!). Doing this in Maine would be suicidal with all the lobster pots but we hadn’t seen any pots coming into Atlantic Highlands but there were still the possibility of floating debris, however we missed everything and rounded the point and headed south with the wind now at our backs. It’s fun watching the eastern sky gradually brighten and the sun rise over water. We alternately sailed and motor sailed since we couldn’t afford to drop much below 7 kts in making the 83 mile run to Atlantic City. When the wind blew, we could maintain 8.3 kts but had to turn on the diesel when it dropped. However, the wind was off the land so the water was flat, the sky was clear blue and the temperature was in the 70’s, what a great day! We didn’t see as much red tide as in the bay near Atlantic Highlands which had a definite red color, strange looking to see the ocean red. They said it was due to the very warm summer. Approaching Atlantic City, the wind suddenly changed from northwest to south in the space of a few seconds, what a shift. South was not a good direction since it would be blowing directly into the inlet channel resulting in some good waves. All came out well but we did bounce a bit. 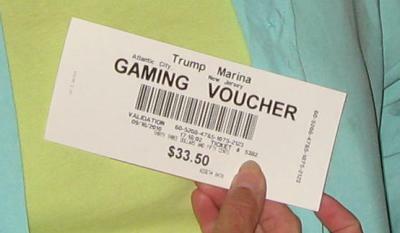 We took a dock at Trump Marina and visited the casino for dinner but the buffet had closed by then. One of the many restaurants were still open and we had sandwiches – boy were we tired! Atlantic Highlands Yacht Club – Tsunami Hits Hudson River? We awoke to an eerie sight in the river. It looked as if a giant tidal wave was coming up the river, frozen in time. Actually, it was a fog bank that looked for all the world like a huge tsunami roaring up the river. It was gone within the next ½ hour. When we set out we had the ebb current with us all the way to the Battery. 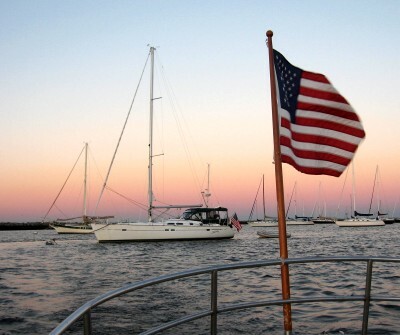 We waved at the Statue of Liberty and motored on to the Atlantic Highlands Yacht Club. It’s a popular stopping off place for those headed south. They have launch service and we took advantage of it for Hoolie relief. There are at least 250 or more boats here, 150 on moorings. 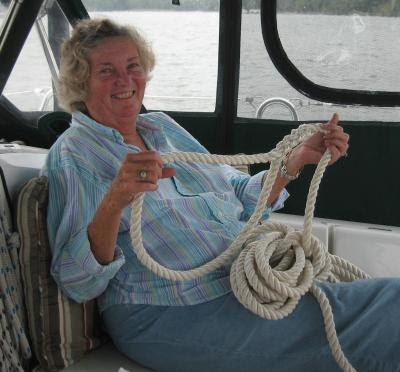 Still, there is room for anchoring but we just picked up a mooring, We wanted a quick exit Wednesday for our dash down the New Jersey shore to Atlantic City. The surf forecasts still look good for Wednesday. When we arrive there, we’ll take another look at Thursday for Cape May. 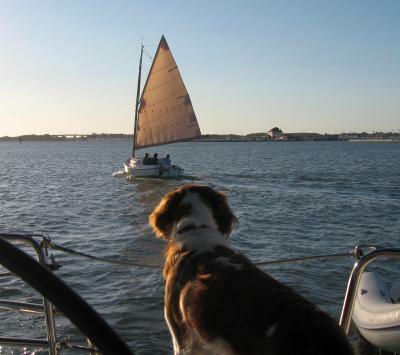 We may decide to just sit out the waves at Atlantic City, we like to sail in good weather. We plan to be off our mooring at 5:30 am Wednesday morning, check the location of Fleetwing then to see if we made it! Here we are at anchor, taken from the Atlantic Highlands YC launch. You can see that we have a full enclosure for the cockpit, hopefully enough to keep us comfortable for the trip south. We finally shoved off around 1:00 pm after refueling at our yacht club interrupted by the Steward saying, “You going to pay for that when you come back?”, since I was already on my way south, forgetting to put a check in the box for the fuel! Certainly a bad example for the former Financial Chairman to set – but all was saved when the Steward reminded me before I left. We had severe thunderstorm warnings all the way south but somehow they all missed, going both north and south of us. We have a much more important storm to worry about, Igor. We left two days ahead of our plan to avoid the swells coming from Igor later in the week. 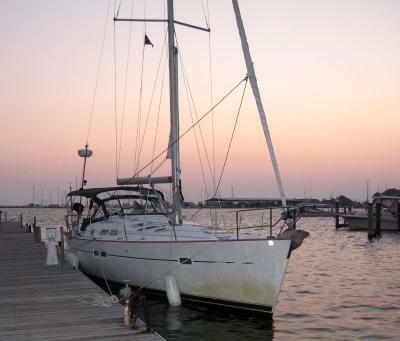 We’ll spend Tuesday night at Atlantic Highlands and then set out for Atlantic City the next day. The swells are due to arrive late Thursday along the coast. We use a forecasting site for the swell predictions. 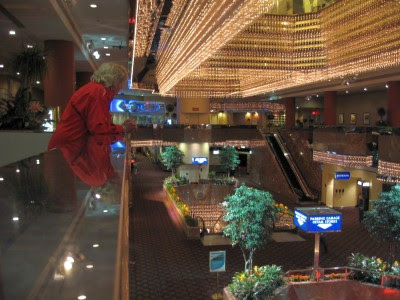 At Atlantic City we plan on staying at Trump Castle. 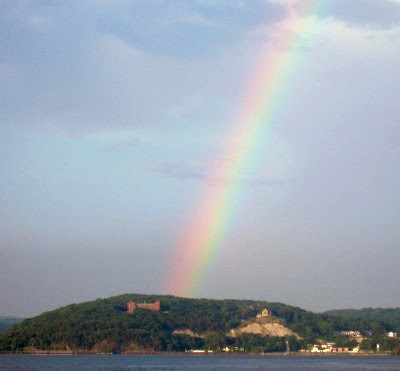 Presently, we’re at Croton Point in Haverstraw Bay, just click on "Feetwing Location" at the left to see our exact spot. We passed the Half Moon on the way down, they are even outfitted with AIS! 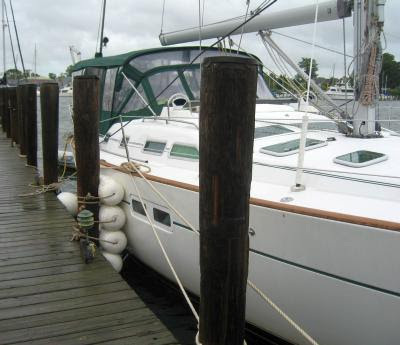 For those not familiar with our boat, it’s a Beneteau 423 sailboat, 42 feet long with a 5 foot draft. It has a 55 hp Volvo diesel and a 4.2 kw Panda genset. We carry 52 gal of fuel and 150 gal of water. The cockpit can be fully enclosed for comfortable cruising during cool weather, handy for Maine and probably useful for the ICW too. Both the main and jib are roller furled with all lines led back to the cockpit. It’s very easy for two people to sail, we never have to leave the cockpit except to anchor (44 lb Spade and 60 ft of 3/8 inch BBB chain.) I have an internet connection on board via Verizon for checking on the weather status and e-mail. We took the rainbow as a good sign! Wonder what Igor is doing….